Verax NMS & APM Broadsoft BroadWorks Web Server management plugin enables easy monitoring, alerting, health check, management and performance reporting for the BroadWorks Web Server, part of the BroadWorks Voice over IP (VoIP) platform. All communication with the server takes place over SNMP protocol. 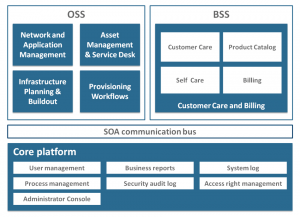 Software version, administrative state and operational status. Software components, including version installation history, patches and patch bundles applied, as well as third party software. The view details the BroadWorks Web Server’s protocol common statistics and TCP statistics. The common protocol statistics include the host name, interface information, as well as the numbers of accepted and rejected outbound and inbound connections and messages processed. The server TCP statistics provide information on the number of accepted, refused, initiated and closed connections, as well as the data transfer (bytes sent/received) and outgoing and incoming queue sizes. The plugin provides predefined templates for most commonly monitored Broadsoft BroadWorks Web Server items (listed in the table below). Other, user-defined sensors and performance counters can be added.